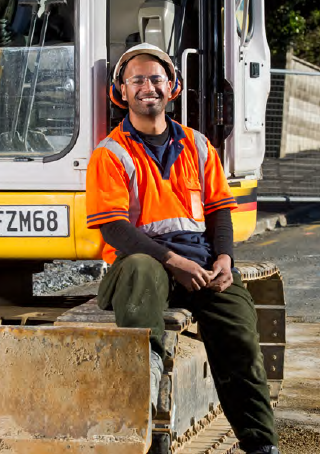 In 2018 the Government introduced a scheme to encourage more New Zealanders into formal training, study or learning. Many formal qualifications are free for learners for one or two years, depending on the qualification. Certain eligibility criteria exist around the types of qualifications that are eligible for the Fees Free scheme. Fees Free is available from 1 January 2018. Eligible learners that start their industry training journeyin 2018 or 2019 are eligible for their fees to be paid for the first 24 months of their training programme (fees free support is capped at $12,000 per learner). Who is eligible for Fees Free? What is Covered by FEES FREE? What’s NOT covered: Costs such as travel, meals and accommodation to attend block courses. What Connexis qualifications are eligible for Fees Free? Is an RCC candidate eligible? Yes, RCC candidates are eligible as long as the eligibility criteria are met. Can a trainee who withdrew from their program prior to 1 January 2018 be eligible for Fees Free if they re-sign up in 2018? As long as the trainee has not achieved more than 60 accumulated credits* or achieved a similar level of achievement at a provider (University, Polytech etc) and the program they are signing into meets TEC threshold they MAY be eligible. They would need to go through the same process as everyone else applying. Can a third party fill out the Statutory Declaration form on behalf of a potential trainee? No, the trainee is responsible for filling out the form and getting it witnessed and signed by the appropriate authority (such as a JP) as per TEC conditions. What happens if a trainee puts their study on hold or withdraws, does the timer on the two years fees free stop? The Fees Free period starts for an eligible trainee and ends 24 months from that date. The timer does not ‘stop’ during this period. If a trainee gets a ‘NO’ response to fees free eligibility can they appeal? If a trainee receives a ‘no’ answer they can appeal. TEC have a dispute process in place but only the trainee can appeal the decision. They must fill in a form and have it signed by the appropriate authority (such as a JP) as per the TEC conditions.